The Davos forum participants are mostly oil importing countries and aren’t interested in interfering with OPEC’s policy, since they receive billions in benefits from falling oil prices, ex-Russian finance minister Aleksey Kudrin told RT. In November OPEC decided against cutting oil production and let market forces balance the price. 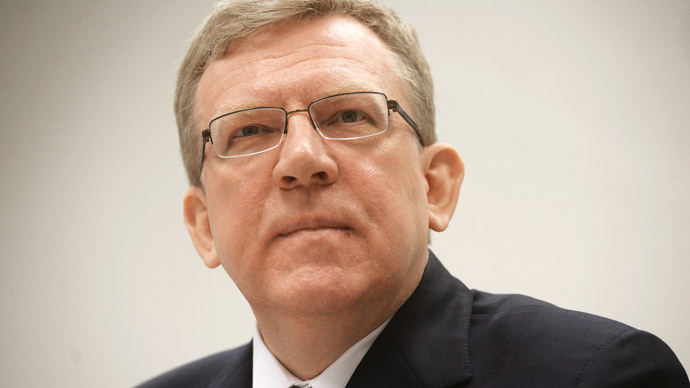 No one plans to stop it or come up with other decisions, said Kudrin ahead of the forum in Davos. “Moreover, the world is interested in OPEC staying onside, as the whole world receives benefits of around $1.5 trillion from falling oil prices, since it cuts spending on energy products,” he said. However, both the IMF and EBRD cut their world growth forecast this week, saying that the benefits of lower oil prices won’t cover the losses from a slowdown in some of the world’s biggest economies, such as China and the EU. Apparently, the key exporters such as Saudi Arabia and the UAE aim at maintaining their share of world oil production and thus bring down the share of other producing countries by leaving output unchanged, he said, adding that prices are likely to keep falling for some time. This will help level the oversupply that emerged on the world market in recent years, largely due to the shale boom. Falling oil prices and Western sanctions are the main reasons why the Russian economy is experiencing a downturn. Kudrin believes the Davos forum brings a good opportunity for Russia and the West to hear each other and understand what steps both sides should take in order to stop the economic war of sanctions. "Davos is a platform where in a narrow range, at round tables in smaller formats, at the level of experts, government officials and businessmen we will talk about the goals of economic policy, sanctions and what are the prospects for their lifting. We need to understand each other and take the following steps to reduce mutual claims,” he said. The ruble’s credibility was eroded after its devaluation over the last year, but if Russia reforms its economy and the West lifts their sanctions credibility could be restored and even strengthen within a decade, Kudrin said. “Until last year the ruble was one of the leading convertible currencies. It has almost become a regional currency among post-Soviet countries. The reason is that the devaluation has undermined its credibility,” he said. Kudrin explained that any accounting unit must be stable in order to compare the prices of goods in different countries. As a result of the ruble’s instability Russia is “likely to increase the share of settlements in world currencies, such as the dollar, euro and pound sterling, even with its neighbors”.